Fast paced, funny but incisive analysis of policy and politics in the USA. Great, very informative and funny be in my opinion! Trump and conservatives target Ilhan Omar, red states restrict abortion, Mayor Pete’s meteoric rise continues, Cory Booker kicks off his campaign in Newark, and the new primary calendar may have unintended effects. 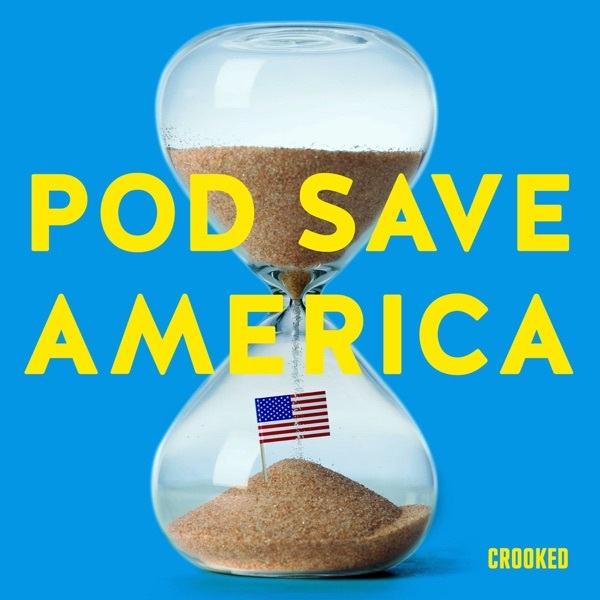 Washington Governor Jay Inslee joins Jon, Jon, Tommy, Dan, and Alyssa Mastromonaco live on stage in Concord, New Hampshire.&nbsp; Check out more Pod Save America tour dates for 2019: <a href="https://crooked.com/events/">crooked.com/events</a>. The Wilderness is a new documentary podcast from Crooked Media and Two-Up Productions about the history and future of the Democratic Party. Jon Favreau tells the story of a party finding its way out of the political wilderness through conversations with strategists, historians, policy experts, organizers, and voters. In fifteen chapters, the series explores issues like inequality, race, immigration, sexism, foreign policy, media strategy, and how Democrats can build a winning majority that lasts. Coming July 16th. Subscribe to The Wilderness now. As the health care vote is delayed due to a medical emergency, Andy Slavitt, who ran Medicare, Medicaid &amp; ACA for President Obama, lays out the strategy for this final push. Then Jon, Jon, and Tommy get into all the lies and revelations around the Trump Tower/Russia confab. And Tommy talks with Jeff Mason who leads the White House Correspondence Association to debate press access and freedom.